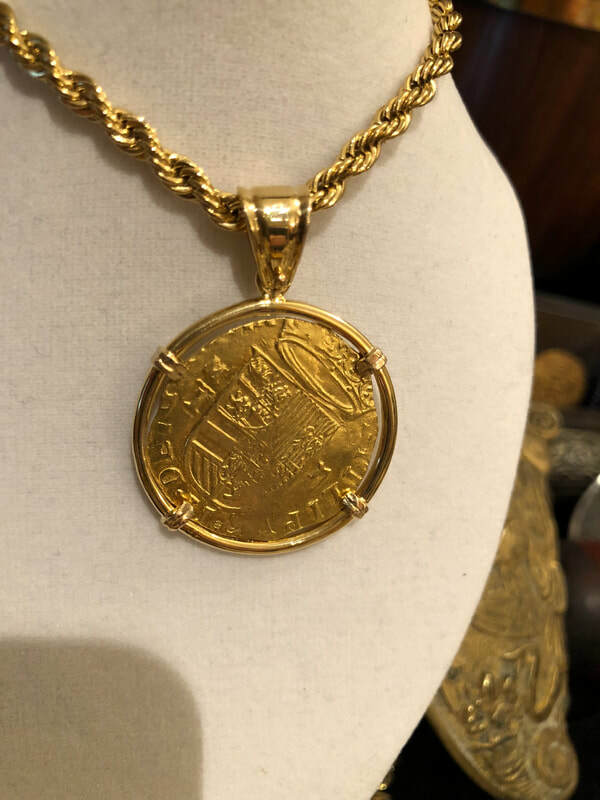 SPAIN 2 ESCUDOS 1556 SHIPWRECK JEWELRY PENDANT AUTHENTIC TREASURE DOUBLOON GOLD COIN This incredibly large (31mm) Gold Cob Treasure coin from the Toledo Mint in Spain, struck in 1556-98 weighs approx. 12.7gm Total (coin alone is approx 6.7gm) is set in a beautifully designed 18kt pure Gold Bezel with a very large Bail (that will hold approx 8mm chain). The Gold plated ion chain “is” included and is a 4mm 24” Chain. 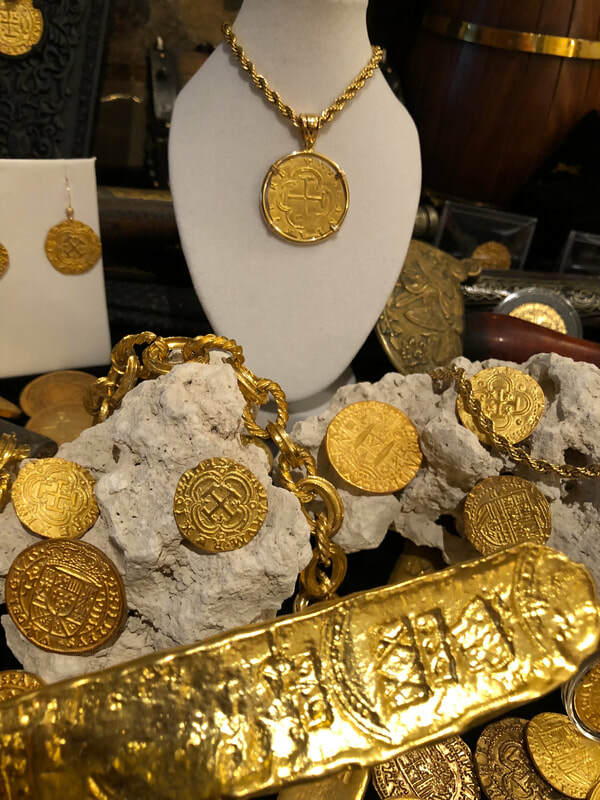 These Toledo struck coins are some of the most beautiful and very ornate that was ever struck out of Spain almost 500 years ago! 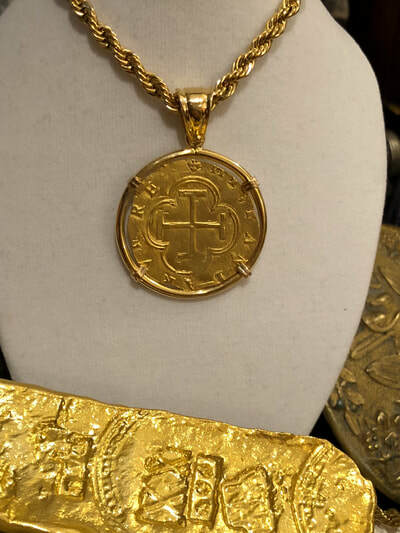 This particular piece features a FULL and well centered Cross and even part of the Legends (HISPANIRUM REX = KING OF SPAIN). The Obverse features a FULL CROWN & SHIELD, and even displays the Assayer “M” and the Mint “T” Toledo and denomination to the right of shield “II” for 2 Escudos. Even the Legends are predominately visible: PHILIPUS II . DEI . GRATIA = PHILIPUS II by the Grace of GOD. One of the most beautiful pendants we’ve have the pleasure to offer.